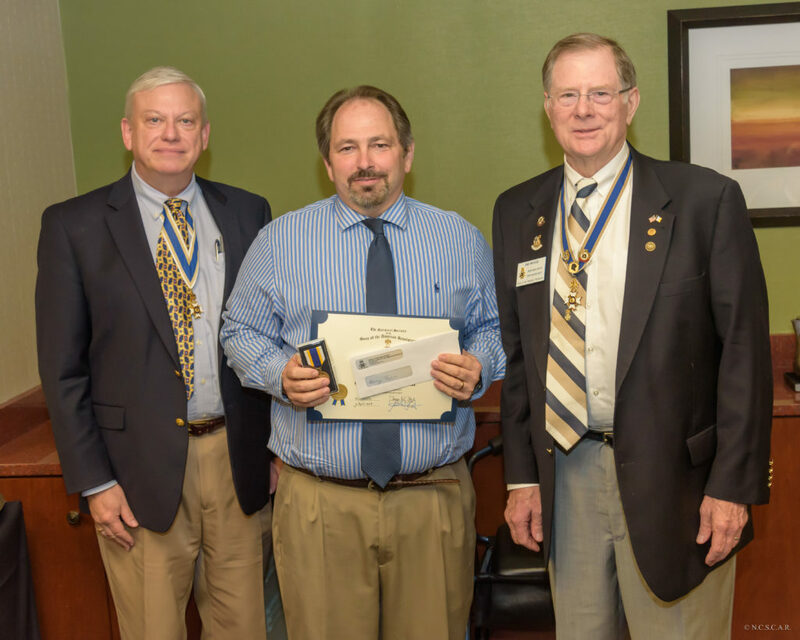 Mr. Renny Taylor, Nash Central High School AP History teacher, has been selected by the North Carolina Sons of the American Revolution as the Dr. Tom & Betty Lawrence America History High School History Teacher of the Year. The presentation was made at the North Carolina Sons of the American Revolution’s Annual Meeting. Mr. Taylor received a Bronze Good Citizenship Medal and a check for $500 dollars. The Halifax Resolves Chapter NC SAR sponsored Mr. Taylor. It was also announced that he had won the National SAR American History High School History Teacher of the Year contest and that presentation will be made in Costa Mesa, CA in July. The national winner will receive potential benefits worth up to $5,000.00. Mr Taylor resides in Wilson, NC with his wife Leslie.